Chelsea Teddy Bear Company set to break Guinness World Record - again. Event to celebrate the 50th Anniversary of World Wildlife Fund. Chelsea, MI. With two world records, The Chelsea Teddy Bear Company, based in Chelsea, MI., knows what it takes to make it into the Guinness World Record book, and they're set to break their own records on Saturday, July 30th at the teddy bear warehouse and production facility. The event will celebrate the 50th anniversary of World Wildlife Fund, and as for past records, this record attempt will be under the Guinness category "Largest Teddy Bear Mosaic". 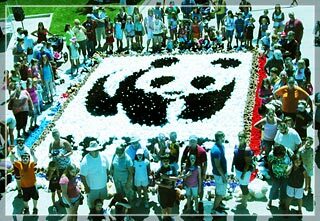 The company, with help from kids from all over Southeast Michigan, will be recreating the WWF panda bear logo made entirely from teddy bears in a huge mosaic display that will likely fill a parking lot. The previous records held by the teddy bear company were for the creation of a large American Flag made from red, white and blue teddy bears in July, 2006, and for a large peace symbol created out of teddy bears to recognize the 25th anniversary of the peace symbol in July of 2008. "We're confident that we'll set a new world record again this year", says company president Bob Turner. "Since we hold the current record, we know what we have to beat. It's a great event for kids since they get to bring a teddy bear and help break a Guinness World Record. It also brings some attention to a great cause and all the wonderful things that the World Wildlife Fund does and has done for 50 years." The public is welcome to participate in the world record attempt by bringing a teddy bear to the event to include in the giant mosaic. You can also buy a teddy bear at the event from the company's factory outlet store. Those who do participate will get a copy of the official Guinness World Record certificate after the record is officially recognized by Guinness, along with a picture from the event to prove to friends and family that they really did help break a world record. The past two records have appeared in the official book published by Guinness and sold in bookstores, so it's likely this one will appear in the next book as well. Turner adds, "The mosaic will include not just teddy bears, but lions and tigers and all sorts of different stuffed animals, so the tie in to a great cause like the World Wildlife Fund is perfect." The Chelsea Teddy Bear Company sells stuffed animals to college bookstores across the US and to United States Military bases around the world. All plush is sold wearing little college imprinted t-shirts or military uniforms. The United States Navy is the company's biggest customer. The Chelsea Teddy Bear Company is located at 400 N. Main Street, in downtown Chelsea, MI. The factory outlet store is open from 10-6 Monday thru Saturday, and 12-5 on Sunday. Free factory tours of the 40,000 s/f warehouse and production facility are available every Saturday at 11, 1 and 3pm. 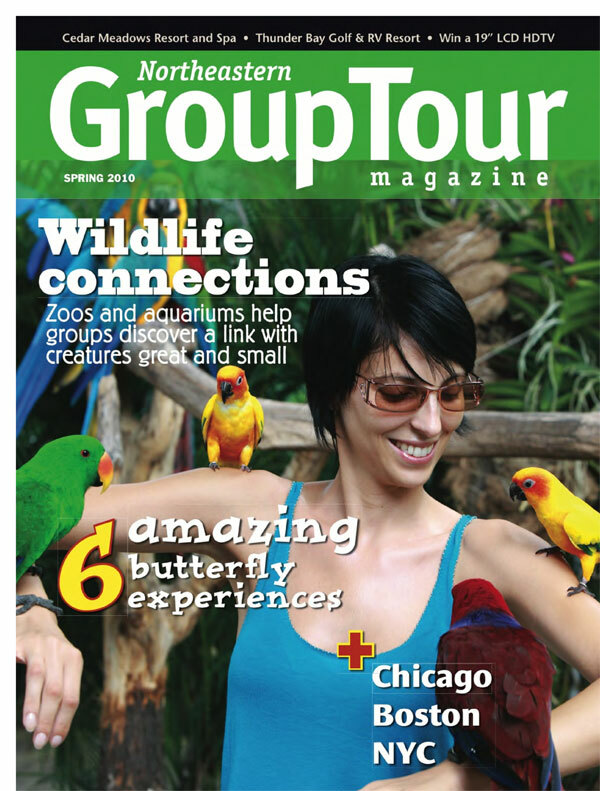 Special group tours are available by appointment, call (734) 433-5499.
as the finest in the U.S., and it's FREE. Chelsea, MI: The Chelsea Teddy Bear Co. is opening a new Toy Museum in a weekend long event on July 25-27, 2008. The Toy Museum is a new addition to the company's downtown Chelsea factory complex, and is being billed as one of the finest toy museums in the United States. On exhibit will be many rare and valuable toys that trace the history of toys around the world. The museum curator is the renowned author and toy expert Ken Yenke. Admission to the museum is free. The exhibit will include many very rare and valuable antique toys. One teddy bear on display in Chelsea has only one other like it that is known to exist, and that bear is on display in the Smithsonian. Museum curator Ken Yenke has this to say about the new toy museum; "The Chelsea Toy Museum will not be the largest in the world, but it will be one of the best. Visitors will be able to get a very good idea about the history and evolution of toys from very early historical pieces up to the 1950's. You will see items that are seldom seen and possibly not on display anywhere else" The teddy bear has been the most popular toy in the world since it was first introduced in 1906, so teddy bears will obviously be a big part of the attraction, and some of the best early examples from companies like Steiff and Bing will be represented in the museum. Of particular importance to Michigan and to this area in particular is the fact that the inventor of the Greatest Toy in the World- the teddy bear- lived in Jackson, Michigan. His name was Richard Steiff, and he continued to manage the German toy company Steiff Gmbh long after he moved here. Visitors will enjoy learning about this man who made perhaps the biggest single contribution in the history of toys. "He's right up there with Santa Claus", says company owner Bob Turner. The grand opening coincides with Chelsea Summer Fest that weekend, and lots of other fun family events are scheduled throughout downtown Chelsea. As a promotion for the grand opening, the company is planning to break its' own world record for the largest teddy bear mosaic, scheduled for Saturday, July 26 at noon. 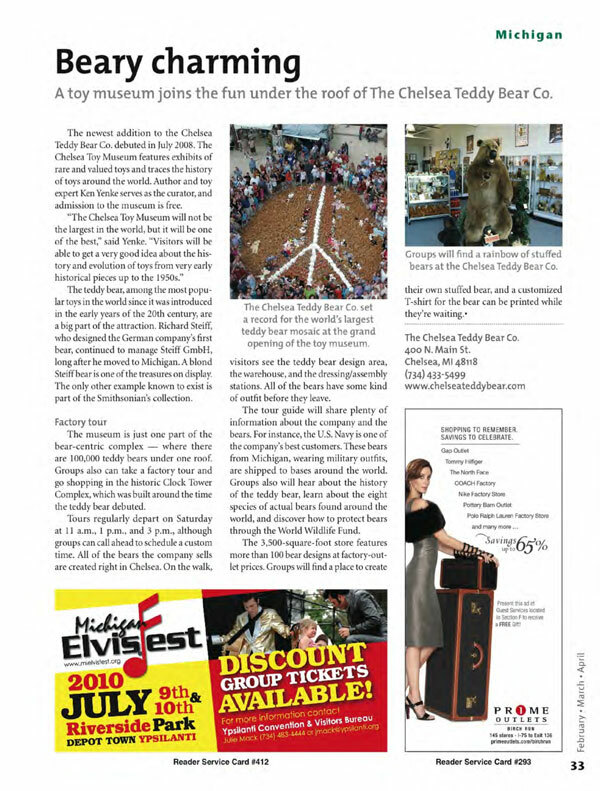 Chelsea Teddy Bear Company attempts to break it's own World Record with a giant peace symbol mosaic. Chelsea, MI: The Chelsea Teddy Bear Co. invites all teddy bear lovers to help them break their own Guiness World Record for the world's largest teddy bear mosaic in an event taking place on Saturday, July 26, 2008 at their factory in Chelsea, Michigan. The company asks anyone interested in contributing to the world record to bring a teddy bear to the event. That bear will become part of a large peace symbol mosaic in the parking lot for the official Guiness measurement and picture scheduled for 12:00 noon on that day. The teddy will of course be returned to its rightful owner after the official measurement and record is broken. The world record attempt is timed with the grand opening of a new Toy Museum in the factory complex, billed as one of the finest toy museums in the United States. On exhibit will be many rare and valuable toys that trace the history of toys around the world. The museum curator is renowned antique toy expert and author Ken Yenke. The Chelsea Teddy Bear Co. is the current Guiness world record holder for a large American flag made out of red, white and blue teddy bears, now on display in the factory outlet store. A picture and description of the record mosaic appears on page 176 of the 2008 Guiness World Record book. Company president Bob Turner says of this year's event, "Since we are the current record holders, we know what needs to be done to set a new world record, so anyone joining us for the event can be pretty confident that your teddy bear will help break the record and will appear in the Guiness Book next year. This is something your teddy bear can be very proud of." The peace symbol mosaic was chosen because teddy bears are universally loved around the world, and "they're good ambassadors for peace", says Turner. Teddy bears - tens of thousands of soft, fuzzy teddy bears - line the new factory floor at the Chelsea Teddy Bear Company. It's owner Bob Turner's dream come true. There are black bears. Brown bears. Small bears, big bears. And some dogs and cats, too, all waiting to be dressed in mini-customized outfits and sent off to a loving home. After months of planning, the Chelsea Teddy Bear Co. recently completed its move to a new 33,500 square-foot space within the Chelsea Clock Tower complex. It will host a grand opening at its new factory facility and retail store on Saturday. Previously, the company maintained offices on the second floor of the main Clock Tower building. It never intended that space for a retail store, but a small one eventually grew there. The company also had its factory/warehouse a mile away. 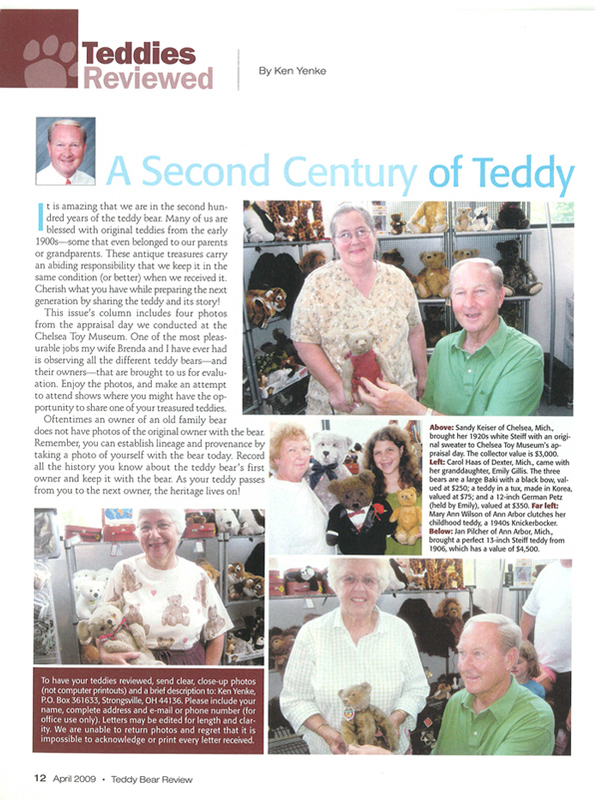 The new building allowed Chelsea Teddy Bear to expand the store, put everything under one roof and offer scheduled tours. It hopes to become a visitor destination in Chelsea, much like Chelsea Milling Co., which makes Jiffy mixes. The free tours will include teddy bear history lessons, explanations on how bears are designed and manufactured, and visuals of local workers dressing and packing bears for shipment. The company also boasts what it says is the world's largest real teddy bear, Goliath, which is over 10-feet tall when he's all stuffed and standing, as well as a 7-foot tall stuffed smiling Grizzly bear. Chelsea Teddy Bear Co. was founded in 2003 and is known for its personalized teddy bears sold to schools and the military. The U.S. Navy is the company's largest single customer.